The Sri Lankan Navy has come to the rescue of a pair of elephants in trouble off the coast of the country. 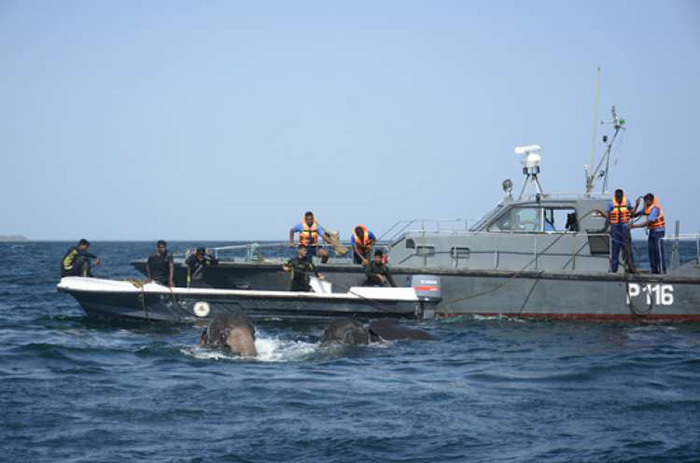 The two elephants had been swept out to sea and were struggling to remain above the water’s surface when the group of naval personnel came to their aid. Luckily, the animals were safely guided towards the shore and suffered no harm.